Maryland is at least the second state pursing a ban on firearm sales to people on the federal terrorism watch lists. The Associated Press reports that state Rep. Chris Van Hollen is asking the governor to “explore every possible state action” to prevent guns from getting into the hands of terrorists. 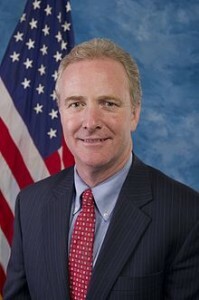 Van Hollen, a Democrat, sent the letter to Gov. Larry Hogan, a Republican, on Thursday, the same day the Connecticut governor said he would sign an executive order banning people from the no-fly list from purchasing firearms. President Obama said Sunday that he supports a similar measure on the federal level. Posted: 12/11/15 at 9:30 AM under News Story.